View cart “Tendonitis” has been added to your cart. This Universal Sound Therapy Protocol was specifically designed to help yoru body overcome Tendonitis. Tendinitis, according to the Mayo Clinic, Tendinitis is inflammation or irritation of a tendon — any one of the thick fibrous cords that attach muscles to bones. The condition causes pain and tenderness just outside a joint. While tendinitis can occur in any of your body’s tendons, it’s most common around your shoulders, elbows, wrists and heels. So what can your do about it? Well, rest, ice and pain pills seem to be the common cure, but it keeps coming back. When you do certain activities, like golfing or tennis, that pain in your shoulder, knee or elbow keeps coming back. Do you have to give up the game? NO, I am here to tell you no, there is something else you can do that will make a world of difference. I know that since you are looking at our site, you too are looking for something that works. I am happy to announce that you have found it. Sound therapy is the answer. Here is how it works. First you need to understand that everything in our world vibrates, and it vibrates at a specific frequency. Now when you are hurting or have inflammation in your tendons, those parts are not vibrating at the correct frequency. Our Universal Sound Healing Sessions will tell your body what frequencies they should be working at and your body will grab onto those frequencies and start to make changes to get itself in tune. Your body just needs a little guidance and it can and will heal itself. We have had many clients that suffer from Tendinitis or other forms of pain caused by inflammation and found relief using our CDs. We have designed a specific protocol of frequencies aimed at reducing the inflammation, increasing the blood flow and relaxing muscles and nerves so your body can make the pain stop. We have been doing sound therapy for several years and have found that the cool part about sound therapy is that if you believe it works, it works, but if you believe it won’t work, it still works. Your body wants to be healthy and it wants to be in tune. We hope you will try our sound therapy because we know how much Tendinitis gets in the way of living. In fact we are so sure about our product, we’ve taken away all of the risks of trying it. When you go to the doctor, do they offer a satisfaction guarantee? They do not. When you buy supplements do they let you return an empty bottle because the stuff didn’t work? Nope. Well we’re not in the business of selling hope and empty promises. We are in the business of treating Tendinitis with sound therapy. And whereas we can’t guarantee that it’ll work for everyone, we absolutely guarantee that if it doesn’t, we’ll give you your money back with a smile and our thanks for giving it a try. 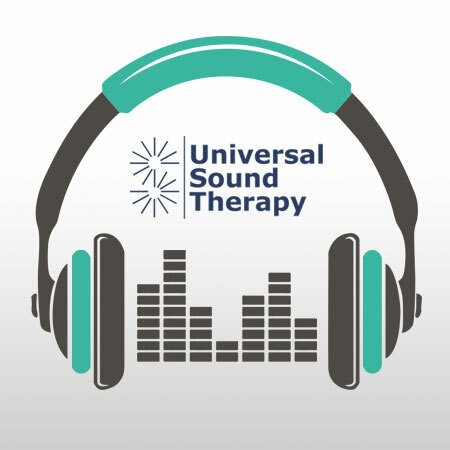 Give Universal Sound Therapy’s Tendinitis remedy a try. You have nothing to lose but the pain and it might improve your swing.